HIP Enhancement:Use digital technologies to support health systems and service delivery for family planning. Countries are turning to digital health applications through technologies such as mobile phones, tablets, and computers to improve health care delivery, strengthen health systems, and support clients. Experts believe such approaches can contribute toward time and resource efficiencies by improving our ability to bridge physical distance and by increasing accuracy and speed of data collection and reporting. With the rapid expansion of mobile and electronic platforms across the globe, including in low-and middle-income countries,1 there is potential for even greater use of digital health technologies to strengthen health systems and family planning service delivery. This brief summarizes the experience and evidence for the most commonly used digital health technologies aimed at supporting health systems and providers. A companion brief will address applications aimed at supporting consumers. Family planning indicators should be incorporated into new and existing digital health and logistics management information systems. More research is needed about when and how digital applications for provider support are most effective, efficient, and scalable. Mobile money and electronic financial transactions have the potential to provide efficiency and transparency of health care financing and transactions. Table 1 provides some illustrative examples of how digital technologies can be used to support implementation of HIPs. Evidence demonstrating the value of digital health approaches has increased over the past decade. Systematic reviews of digital applications in HIV care and treatment, maternal and child health service delivery, and noncommunicable disease treatment have documented evidence that digital health tools increase efficiency of data collection, improve quality of care, and increase communication between health workers and their managers and supervisors.2-4 It is likely that these results are generalizable to family planning programming as well. Digital health has been identified as a HIP enhancement by the HIP technical advisory group.5 When scaled up and institutionalized, HIPs will maximize investments in a comprehensive family planning strategy. A HIP enhancement is a practice that can be implemented in conjunction with HIPs to further intensify the impact of the HIPs. While there are some initial experiences implementing digital health technologies, more research and documentation is needed to better understand the potential and limitations of this approach. For more information about HIPs, https://www.fphighimpactpractices.org/overview. How can digital technologies enhance HIPs? Digital national health management information systems allow for timely analysis, data visualization, and reporting. Many countries are investing in large digital HMISs, such as the District Health Information Systems 2 (DHIS 2), and in digital human resource information systems such as Health Workforce Information Solutions (iHRIS) (see Table 2). 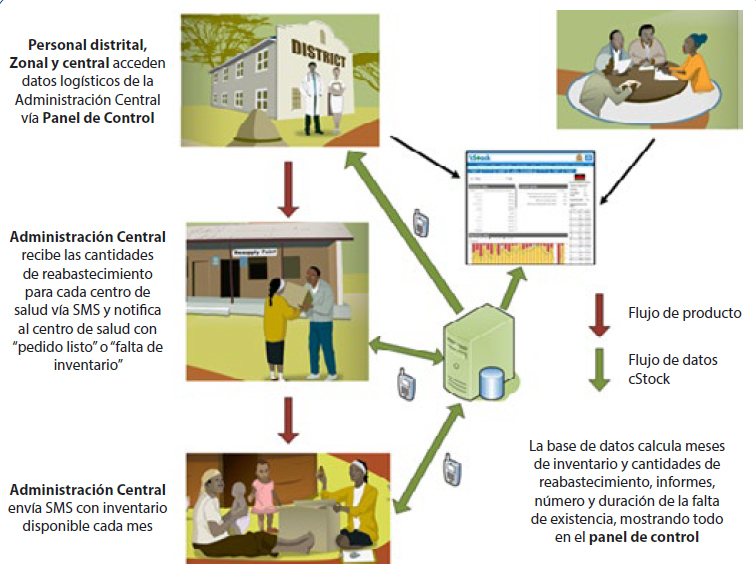 These digital health information systems, often complemented by interactive data dashboards with GIS mapping, enable timely access to nationwide data that can be used to inform more granular decisions about how to allocate resources, where to target interventions, and whether to adjust performance objectives. Although DHIS 2 and iHRIS can and should include family planning indicators and data, not all countries are currently fully leveraging these platforms to capture this information. As a complement to in-person trainings, digital applications can improve clinical knowledge through refresher trainings and continuous learning opportunities for remote service providers. 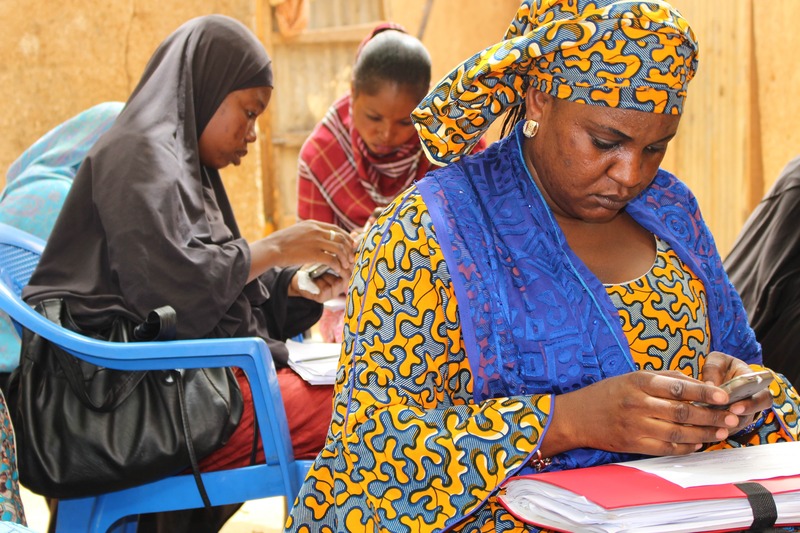 In Senegal, family planning service providers received refresher trainings on basic mobile phones through interactive voice response (IVR). Participants demonstrated significant gains in knowledge up to 10 months after trainings ended.9 In Nigeria, a program used Android-based smartphones or tablets to provide entertaining and instructional videos using footage of midwives providing family planning services. Qualitative interviews revealed that the video content raised awareness among midwives of how provider bias negatively affects clients.8 While the evidence base suggests that digital technologies can contribute to improved knowledge retention among providers, experts believe that these approaches can also provide time and resource efficiencies by reducing the need to travel for trainings, thereby additionally reducing disruptions to service delivery. In Bangladesh, implementers learned that even a visually engaging dashboard with actionable data—but one created without input from end-users—did not sufficiently guarantee effective data use at the local level. To address this, the project incorporated scheduled SMS features and email alerts to push data to those who were entering it and to their supervisors. This push notification system facilitated the transition process from having a “data-producing role” to employing a “data-use culture,” thus improving decentralized decision making.8 This experience also illustrates the importance of providing orientation, training, and support to those who are expected to use the digital health application so they are comfortable and knowledgeable about how to use the application itself as well as the data that the application produces in order to improve programming. Understand the overall technology landscape, including available infrastructure, existing programs, opportunities for interoperability, and potential technology partners. It is important to collect information about the technology landscape, including cell phone and Internet coverage, to make decisions about what type of technology will be most appropriate. In addition, time and resources can be saved when building upon existing digital services to add new functionalities (especially when the intervention is built on open-source software) and when ensuring that digital health interventions are interoperable, meaning they can “talk” to each other to exchange information. Increasingly, decision makers and implementers are seeking to create links among different digital health systems and services to further achieve systems-level outcomes and impact.22,24 In Tanzania, a mobile phone-based family planning screening and counseling job aid for CHWs was created within an existing mobile phone-based HIV counseling tool rather than building a separate tool on a different platform, thus leveraging existing resources and facilitating family planning and HIV integration in service delivery.24 Many mobile digital platforms, such as those that offer counseling and screening tools for providers, also collect data regarding number of clients per method or products distributed and are becoming compatible with HMIS software such as DHIS 2 so that health indicators, including for family planning, can be incorporated and reported on at the national level. Familiarity with national data security and privacy standards can help to build digital systems that are compliant. Consider realistic options for sustainable financing. Digital health interventions need to be developed in a way that is appropriate to the local context while at the same time considering cost implications should the project be scaled nationally. Costs can include program design, equipment procurement, hosting fees, short-code fees, data packages, and server maintenance. Different approaches are associated with different financial and technical support implications, whether using smartphone applications, SMS, or voice. For example, interventions that use SMS can become costly as they scale—the more SMS sent and received, the higher the cost. While some services have succeeded in obtaining reduced or free SMS, voice, and/or data rates through public-private partnerships, most do not, and governments may not be in a position to assume the costs as projects transition to national scale. Furthermore, programs may want to explore other less costly platforms such as Facebook and WhatsApp. Regardless of the technology, if digital health interventions are proven to be more cost-effective than non-digital alternatives, or to bring cost-efficiencies, then governments may successfully advocate for internal or external funding assistance. Monitor the implementation and performance of your digital health service. Like all health interventions, monitoring and evaluation should be planned for from the start as part of program design and should be linked to the program’s logic model. What is unique to digital health technologies is the ability to rapidly collect monitoring and evaluation data through various techniques, including through routine system data as well as through other quantitative and qualitative approaches such as surveys deployed via the digital platform. The ability to garner near real-time process monitoring information enables rapid design and implementation improvements. In addition, if designed well, evaluations of digital health interventions can determine their effectiveness, including value for money, as well as impact, though these evaluations may or may not be conducted using only digital data collection methodologies.20 Once ready to document and disseminate results from monitoring and evaluation, implementers may find the mHealth Evidence Reporting and Assessment (mERA) Checklist, developed by the mHealth Technical Evidence Review Group at the World Health Organization,27 to be a useful resource. These research questions, reviewed by the HIP technical advisory group, reflect the prioritized gaps in the evidence base specific to the topics reviewed in this brief and focus on the HIP criteria. In what circumstances is the use of digital health interventions in family planning most cost-effective for offering training, training follow-up, or continuing education to providers? In what circumstances are digital health interventions most cost-effective for use in contraceptive counseling and screening? In what circumstances are digital health interventions in family planning cost-effective compared with non-digital interventions? Do digital applications that support family planning systems contribute to client-level outcomes such as the modern contraceptive prevalence rate? Principles for Digital Development: A set of nine principles based on lessons learned in implementing digital technologies in development. mHealth Planning Guide: A thorough orientation to the mHealth planning process for anyone looking to learn more about integrating mobile technology into health programs in low- and middle-income countries. mHealth Assessment and Planning for Scale (MAPS) Toolkit: A self-assessment tool that guides project teams to sustainably scale up their mHealth innovations. Global Digital Health Network: A networking forum for thousands of members from 94 countries to share information, engage with the broader community, and provide leadership in digital health for global public health. Former Digital Health HIP brief entitled: mHealth: Mobile technology to strengthen family planning programs. This brief synthesized the evidence and offered tips for implementation as of 2013. This document was written by Nicole Ippoliti, Trinity Zan, Margaret D’Adamo, and Shawn Malarcher. Critical review and helpful comments were provided by Afeefa Abdur-Rahman, Michal Avni, Rita Badiani, Regina Benevides, Elaine Charurat, Arzum Ciloglu, Claire Cole, Ellen Eiseman, Heidi Good, Sherri Haas, Karen Hardee, Ishrat Husain, Joan Kraft, Alice Liu, Ricky Lu, Justin Maly, Emily Mangone, Cassandra Mickish Gross, Erin Mielke, Dani Murphy, Lisa Mwaikambo, Alice Payne Merritt, May Post, Heidi Quinn, Pam Riley, Ritu Schroff, Willy Shasha, Adam Slote, Sara Stratton, Caitlin Thistle, Reshma Trasi, Sarah Unninayar, Caroll Vasquez, Kimberly Waller, and Tim Wood. This brief is endorsed by: Abt Associates, Bill & Melinda Gates Foundation, CARE, Chemonics International, EngenderHealth, FHI 360, FP2020, Georgetown University/Institute for Reproductive Health, International Planned Parenthood Federation, IntraHealth International, Jhpiego, John Snow, Inc., Johns Hopkins Center for Communication Programs, Management Sciences for Health, Options, Palladium, Pathfinder International, Population Council, Population Reference Bureau, Promundo US, Public Health Institute, Save the Children, U.S. Agency for International Development, and University Research Co., LLC.